5 DRINKING RECORDS YOU’D NEVER BELIEVE EXISTED! From chugging a litre of beer in 1.3 seconds to drinking 150 beers in a single sitting, here are the wackiest drinking records, ever! This record is held by an Indian. No surprises there. Our collective passion for “Jugaad” is well known! Murali KC from Chickmagalur, Karnataka prised open 68 beer crowns with his teeth in 1 minute! Kudos sir! It takes most of us more than 5 minutes and a dozen cuss words to open 1 beer bottle. 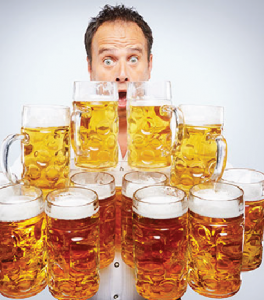 Oliver Streumpfel, a waiter, set the record at a beer festival in Abensberg by carrying 27 one litre mugs of beer over a distance of 40 meters. 27 beer mugs! With just 2 hands! Wonder how many mugs he broke while practicing. But who cares, he has a Guinness world record. 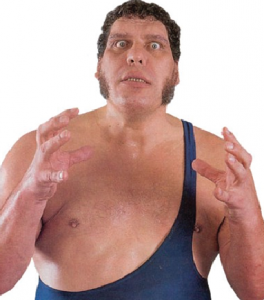 Do you remember Andre the giant from the early days of WWE? 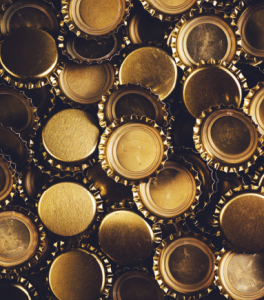 The Frenchman could drink 120–150 bottles of beer in one sitting! How is that possible? Well, he was 7.4 feet tall and weighed 240 kilograms! He could consume 41 litres of beer in 6 hours. He once passed out in a bar in Pittsburg after drinking 127 beers! The bar staff couldn’t move him and left him there to sleep it off. Good idea not to wake a sleeping giant! This is probably the oldest record. 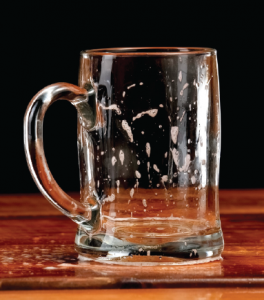 It has not been broken since 1977, when Steven Petrosino (Lt. Col. USMC retired) chugged 1 litre of beer in 1.3 seconds. A beer mile is not a mile long stretch lined with beer bottles! It is a mile long sprint that you must run on the condition that you chug a can of beer before each lap. 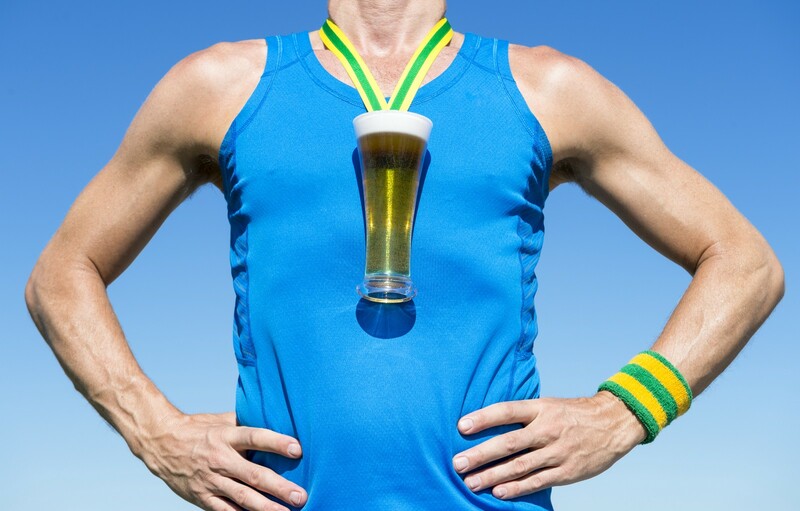 James Nielsen holds the record for the fastest and only sub-5 min beer mile at 4.57 mins. The world record for the normal (sober) mile is at 3.43 mins. So James’s record is really something! 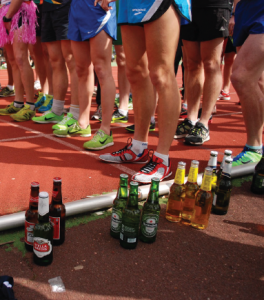 We don’t suggest you try chugging a litre of beer, running a beer mile or downing a 100 beers! You might end up in the hospital or six feet under. Drink Responsibly. Live longer! If it has anything to do with drinks, it’ll be here! One hot afternoon, somewhere between the second and third beer, someone said “…how about a blog for all things drinks-related”. The idea went down smoothly and HipBar’s official blog was born few hours later.